PHYSIOTHERAPIST FOR HOME VISIT IN DELHI. PHYSIOTHERAPIST IN WEST DELHI, PATEL NAGAR. 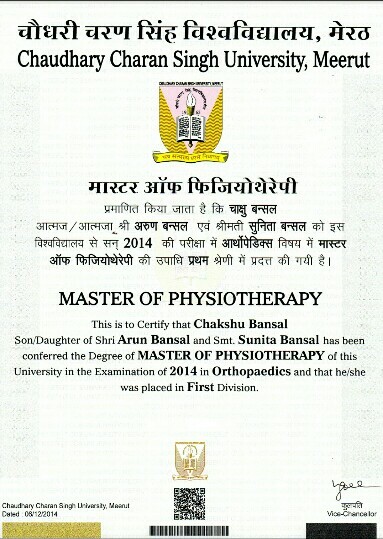 PHYSIOTHERAPIST FOR CERVICAL SPONDYLITIS? IN DELHI. PHYSIOTHERAPIST FOR STROKE/PARALYSIS IN DELHI. PHYSIOTHERAPIST FOR LOW BACKACHE IN DELHI. PHYSIOTHERAPIST FOR SCIATICA IN DELHI. PHYSIOTHERAPIST FOR CEREBRAL PALSY IN DELHI. PHYSIOTHERAPIST FOR FROZEN SHOULDER IN DELHI. PHYSIOTHERAPIST FOR NEURO CONDITIONS IN DELHI. PHYSIOTHERAPISTS ARE ALSO AVAILABLE FOR HOME VISIT IN ALL OVER DELHI FOR TREATMENTS LIKE: HEEL PAIN, KNEE OSTEOARTHRITIS, SPORTS INJURY & MUSCLE CRAMPS. Confirm to Dr. Chakshu's PAIN FREE ZONE that you found their Phone Number(s) from Doctors In Citi. M.P.T.,B.P.T.,C.D.N.P. (SOUTH AFRICA),C.M.T.,PGDNR,CKTT,P.I. PHYSIOTHERAPIST FOR HOME VISIT IN DELHI. 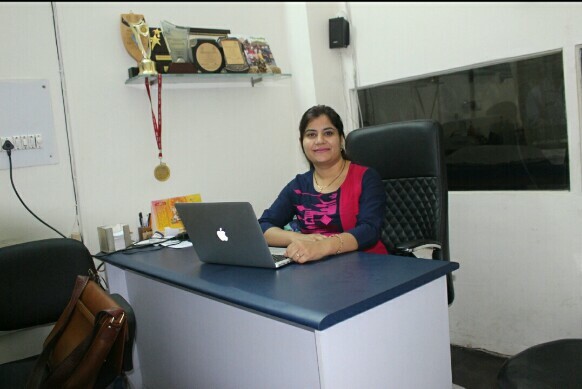 PHYSIOTHERAPIST IN WEST DELHI, PATEL NAGAR. 2943, Lane No. 13, Ranjeet Nagar, Patel Nagar. "Pain free zone helps Patients to improve their function and independence". PAIN FREE ZONE under the expert supervision of Dr. Chakshu (senior consultant Physiotherapist) is a unit of qualified physiotherapists which provides home visits through out Delhi / Ncr for the comfort of those patients who are are not able to come to the clinic for treatment. PAIN FREE ZONE is the best Physiotherapy solution for treating you at your home. We have a team of 25 Qualified and Experienced Physiotherapist for home visit in West delhi, We provide male physiotherapist for male patients and same as female physiotherapist for female patients as per the appointment availablity, to the Patients of all ages. OTHER TREATMENTS : Electrotherapy modalities, shortwave diathermy, interferential therapy, transcutaneous electrical nerve stimulator, ultrasonic therapy, EMS, hot/cold packs, paraffin wax bath, exercises, manual therapy, mulligan and maitland concepts, muscle energy technique, myofascial release, oscillation techniques, cyriax method, chinese therapeutic massage, fitness. Cervical spondylosis is a very commonly used term for any kind of neck pain.It usually occur in young who have computer work and in old age it is very common.you need to pay attention to any pain or stiffness in the neck area, shoulder blades, the back of the head and even the arms and hands in case of nerve involvement.Some individuals suffering from cervical spondylosis may hear a crunching or clicking noise when they move their neck or shoulder muscles.you should notice any signs of muscle weakness, fatigue or trembling in the arms and hands. In many cases, it may be difficult for an individual to hold onto a glass of milk or to pick up objects or to control arm movements. You can experience increasing headaches or dizziness that may be a result of blood flow constriction to the head. Such symptoms may also present themselves in difficulty walking or keeping your balance. Cervical spondylosis is a very debilitating condition in few cases.So it should be treated and taken care of at the initial stage. 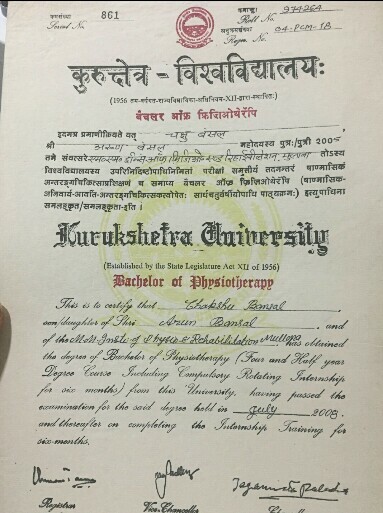 The most effective and noninvasive treatment is – Physiotherapy.Typically, you will receive this form of treatment from a specially trained physical therapist.Alternating hot and cold therapies may be applied to the location where spondylosis is present.Some electrotherapy equipments are also helpful as it helps in pain relief and tissue healing which gets degenerated in this ailment.Manual therapy is upcoming and a very effective way to get relieve from this pain. Exercises, stretching and strengthening, both helps the muscles of your neck. Here I wont describe the exercises because exercises should be done properly ,if done wrongly can increase the problem.Soall this should be done properly and under expert supervision. >Sleeping pillows should not be too high or too low, generally 10 cm height of the pillow suitable. >Do not lay reading books and watching television. >Shed off your stress as it exacerbates cervical spondylosis. >Stay warm during winters and keep the neck area covered. >While travelling use cervical collar when you have attack of CS. >Eat 1-2 cloves of garlic daily in the early morning on an empty stomach. >Fry 8-10 garlic cloves in 50 ml of mustard oil. After the cloves turn brown in color, take the oil off the heat. Apply on the neck and the surrounding region properly with this oil when it has cooled down. >If not getting relief consult your physiotherapist at the earliest. Senior consultant Physiotherapist In Patel Nagar.